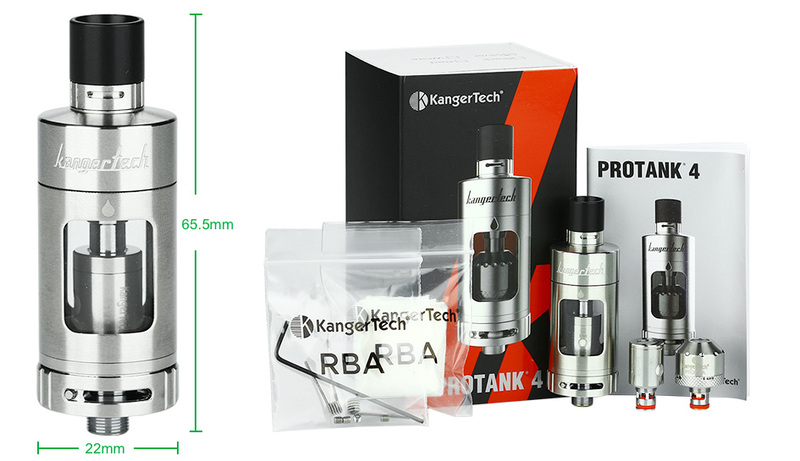 Kangertech Protank 4 Evolved Clearomizer, is the latest cartomizer from Kanger Protank series. 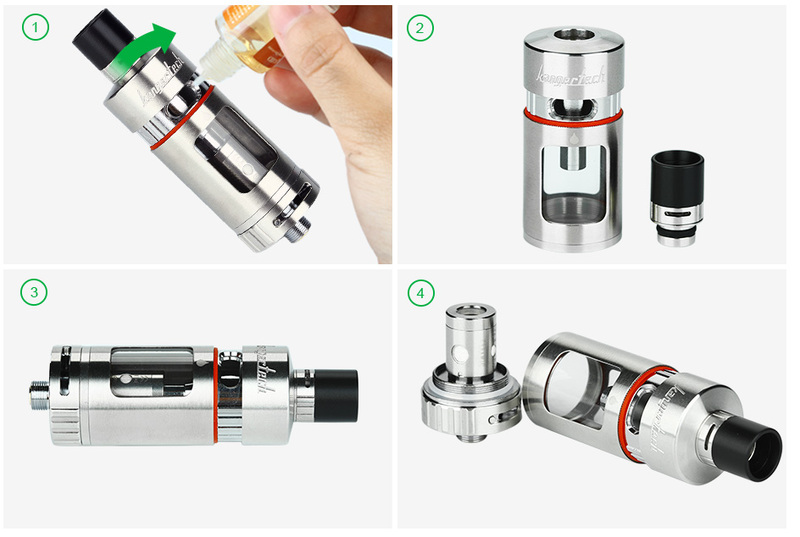 Protank 4 is designed for both mouth to Lung and direct lung vaping. 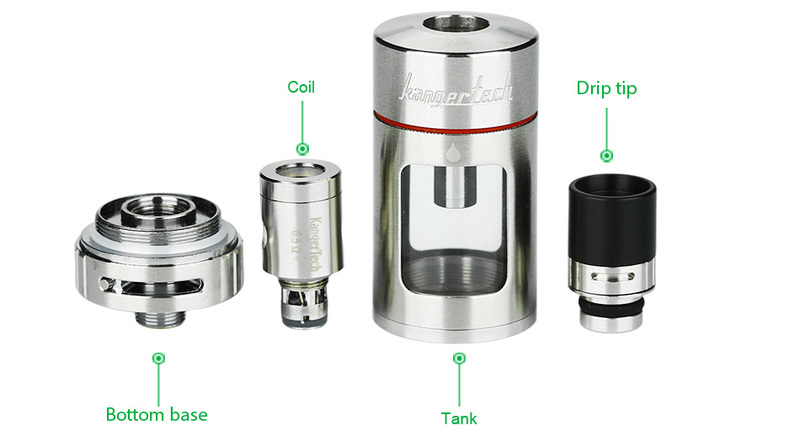 It has its own RBA deck and is compatible with the broad array of SSOCC/ceramic coils already available. 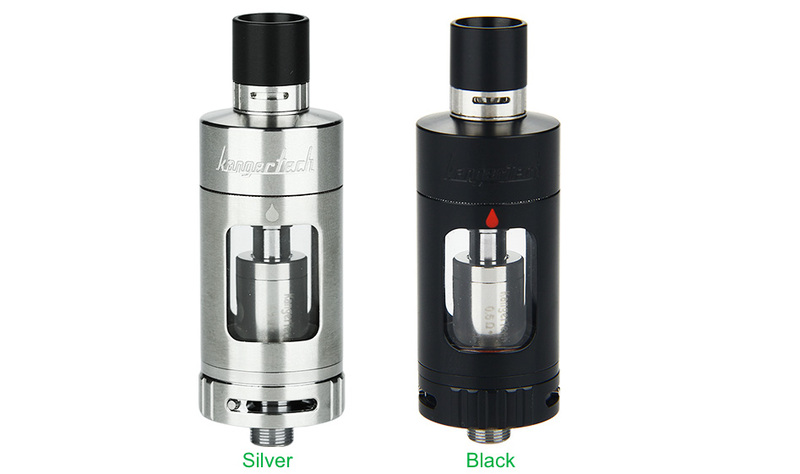 5ml juice capacity, convenient top side filling, child lock, adjustable airflow on both top and bottom all make Kanger Protank 4 a good choice for you. Please rotate the bottom ring/drip tip to adjust airflow. Easily fill e-juice through the top side juice hole.